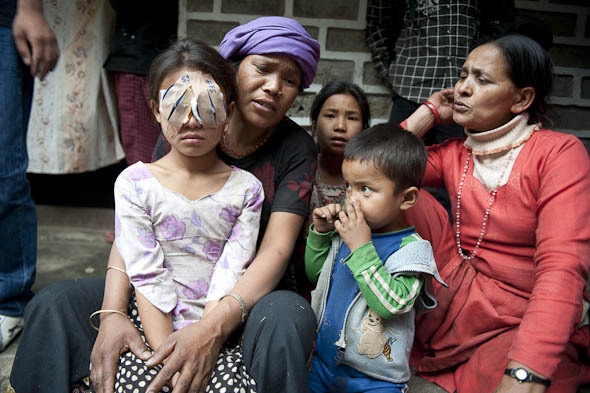 Sangeeta Tamang with her mother, just after Dr. Ruit operated her in Siwa. HOW CAN I HELP THE DOCTORS? WHERE SHOULD I SEND A DONATION? You can support the filmmakes by sponsoring the distribution of the film. By helping us to promote this film, you will help us create awareness and motivate more donors. We offer screenings to schools, universities, clubs, organizations and events. If you are interested in hosting a screening anywhere worldwide, contact us. It will hep us greatly.